Bulit on the best selling OneAdapter Charger platform, the new Konnext OneAdapter ChargerPlus now offers up to 1 Ampere USB Charging Power, providing boarder compatibility and quicker charging. Leave the chargers for your mobile phone, digital camera, iPod, PSP, MP3 Player, PDA etc... at home! And charge them with the Konnext™ OneAdapter™ ChargerPlus built-in USB Charger. Be connected and protected! 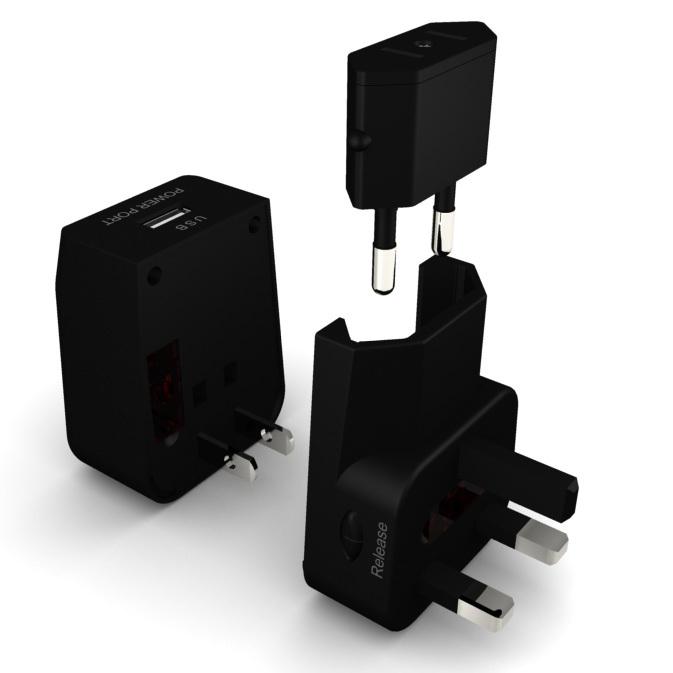 From Australia to Zimbabwe, the Konnext™ OneAdapter™ ChargerPlus provides compatibility in over 150 countries worldwide. The built-in surges and spikes protection system protects your mobile electroncis from potential damage. 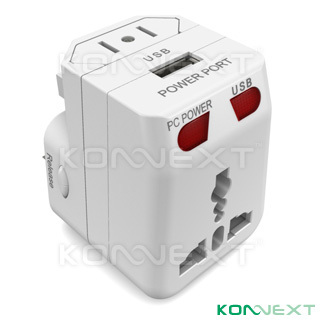 With the Konnext™ OneAdapter™ ChargerPlus, you can power up your notebook computer through the AC power port and charge your mobile electronics through the USB power port simultaneously. Experience a more successful business trip and a more enjoyable vacation with less luagge and worries with the Konnext™ OneAdapter™ ChargerPlus!